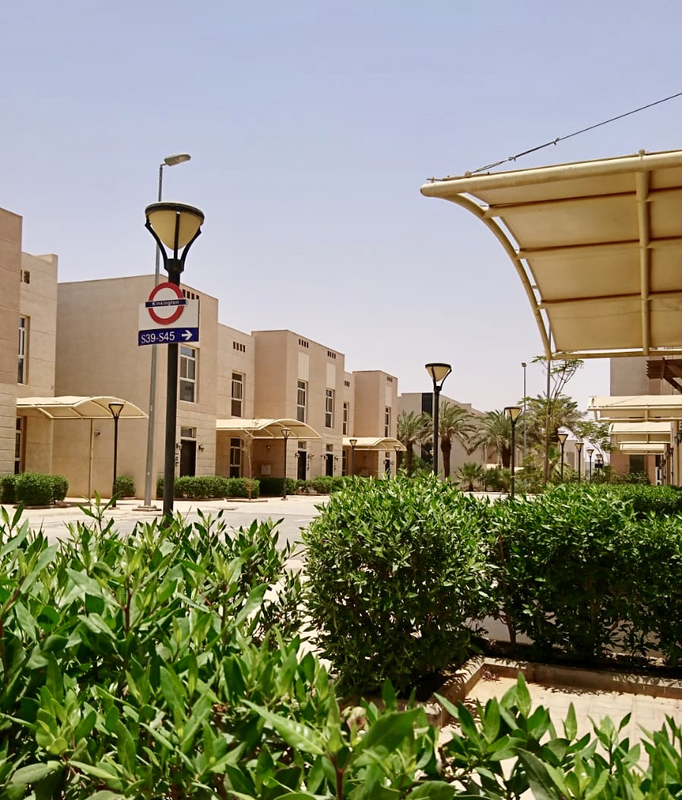 KASB City is a newly launched, western managed and operated community consisting of one, two and three bed properties situated on King Abdullah Road, (East) and close to the new Ishibiliah Metro Station. The layout of the properties include en-suite bathrooms, maids room, storage room, living and dining rooms and shaded parking. The three storey villas have two additional roof terrace areas, some with in built luxury Jacuzzis. KASB City offers various facilities, exemplary services and beautiful landscaping. It is also equipped with swimming pools, spa and sauna rooms, multi purpose courts, indoor sports hall, squash courts, bowling alleys and two gymnasiums with the latest fitness equipment. KASB City will have a large restaurant, with multi function hall, coffee shop and dedicated outside entertainment areas. We offer 24/7 security, on site maintenance team, satellite TV, internet and maid services. For a great lifestyle and a vibrant community, enjoy living at KASB City.